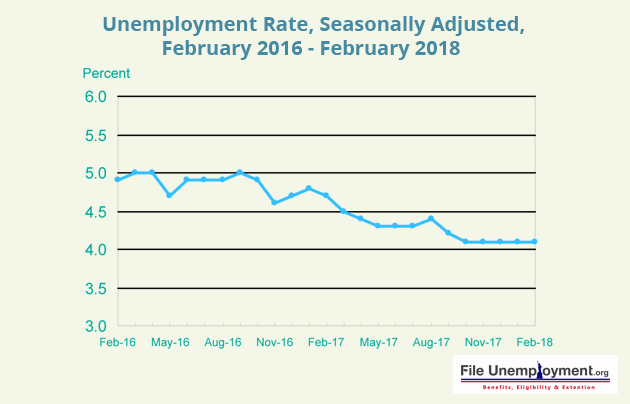 The unemployment rate in the United States for the month of February 2018, remains unchanged at 4.1%. There has been no change in the unemployment rate since October 2017. 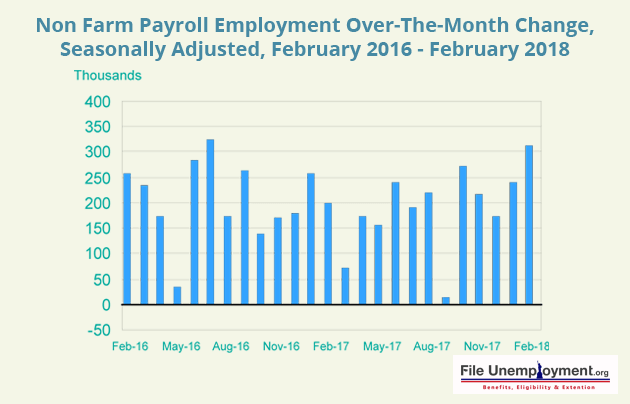 However, in the month of February, the total nonfarm payroll employment increased to 313,000. There has been a significant increase in employment in industries such as construction, retail trade, professional and business services, manufacturing, financial activities, and mining. 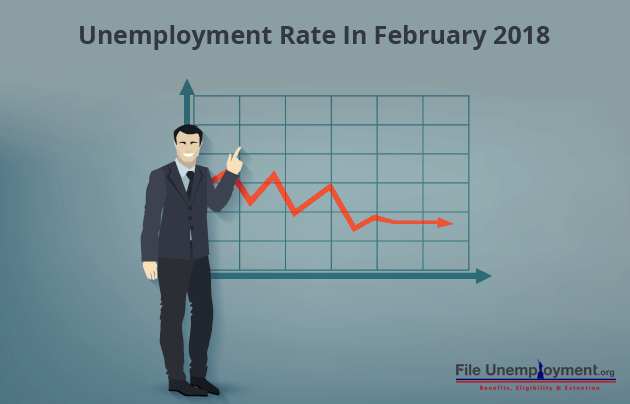 February is the fifth consecutive month with the unemployment rate has remained at 4.1%, with the number of unemployed persons staying relatively unchanged at 6.7 million. In terms of the major work groups, the unemployment rate for the blacks declined to 6.9% in February. Out of the unemployed demographic Adult men (3.7 percent), Adult Women (3.8 percent), Teenagers (14.4 percent) Showed no change from previous months. The same can be said for The Whites (3.7 percent), Asians (2.9 percent), and Hispanics (4.9 percent). The number of long-term unemployed persons (People who haven’t been employed for more than 27 weeks) also remained relatively unchanged at 1.4 million. The long-term unemployed consisted as 20% of the total number of unemployed people. The total number of nonfarm employment had increased to 313,000 in February. There was a significant rise in jobs in the following industries.construction, retail trade, professional and business services, manufacturing, financial activities, and mining. In February, employment in the construction industry increased by 61,000, with gains in specialty trade contractors (+38,000) and the construction of buildings (+16,000). Construction has added 185,000 jobs over the past 4 months. The Retail trade industry increased its employment by 50,000 over the month. Within the industry, employment rose in general merchandise stores (+18,000) and in clothing and clothing accessories stores (+15,000). However, over the past 4 months, which traditionally sees the bulk of holiday hiring and layoffs, employment in these industries has changed little on paper. On the other end of the spectrum of the retail trade industry, building material and garden supply stores added jobs over the month (+10,000). Employment in professional and business services increased by 50,000 in February and has risen by 495,000 over the year. Employment in temporary help services edged up over the month (+27,000). The Manufacturing industry added 31,000 jobs in February. Within the industry, employment rose in transportation equipment (+8,000), fabricated metal products (+6,000), machinery (+6,000), and primary metals (+4,000). Over the past year, manufacturing has added 224,000 jobs. Financial activities added 28,000 jobs over the month, with gains in credit intermediation and related activities (+8,000); insurance carriers and related activities (+8,000); and securities, commodity contracts, and investments (+5,000). Over the year, financial activities have added 143,000 jobs. Employment in mining rose by 9,000 in February, with most of the increase in support activities for mining (+7,000). Since a recent low in October 2016, mining has added 69,000 jobs. Employment in health care continued to trend up in February (+19,000), with a gain of 9,000 in hospitals. Healthcare has added 290,000 jobs over the past year. Employment in other major industries, including wholesale trade, transportation and warehousing, information, leisure and hospitality, and government, showed little change over the month. The average workweek for all employees on private nonfarm payrolls rose by 0.1 hour to 34.5 hours in February. In manufacturing, the workweek increased by 0.2 hour to 41.0 hours, while overtime edged up by 0.1 hour to 3.6 hours. The average workweek for production and nonsupervisory employees on private nonfarm payrolls increased by 0.2 hour to 33.8 hours. In February, average hourly earnings for all employees on private nonfarm payrolls rose by 4 cents to $26.75, following a 7-cent gain in January. Over the year, average hourly earnings have increased by 68 cents or 2.6 percent. Average hourly earnings of private-sector production and nonsupervisory employees increased by 6 cents to $22.40 in February. +175,000, and the change for January was revised up from +200,000 to +239,000. With these revisions, employment gains in December and January combined were 54,000 more than previously reported. (Monthly revisions result from additional reports received from businesses and government agencies since the last published estimates and from the recalculation of seasonal factors.) After revisions, job gains have averaged 242,000 over the last 3 months.